You are interested in European Affairs and you would like to study at the most beautiful university campus in Warsaw with students coming from all over the world? 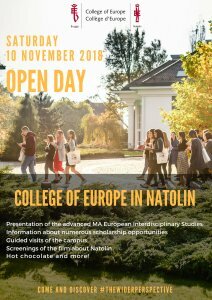 Come and visit the College of Europe in Natolin on Saturday 10 November 2018 to discover our postgraduate academic offer in European Interdisciplinary Studies, numerous scholarship opportunities and the unique campus situated in a nature reserve and historical park where currently 137 students from 40 different countries live, learn and experience Europe together. 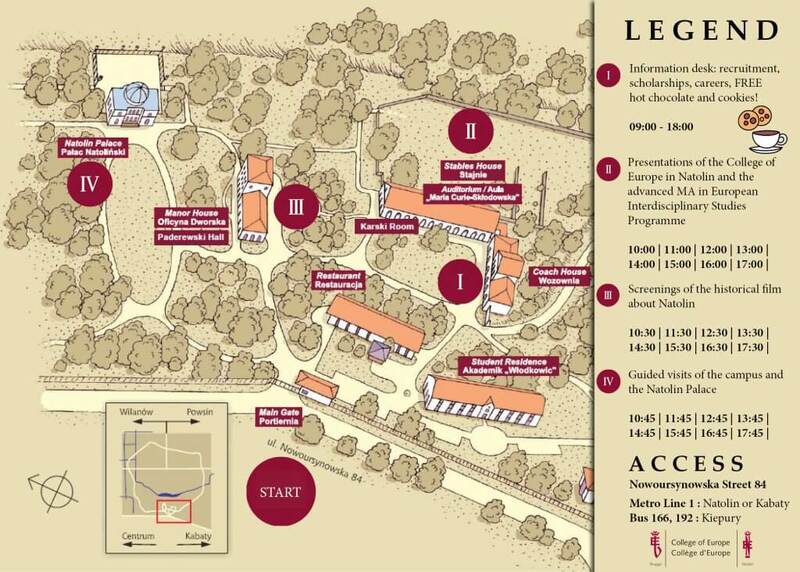 We will present to you our programme, guide you around the Natolin campus, show you the movie about Natolin (starring even Andrzej Wajda!) and offer you some cool goodies, hot chocolate and some delicious cookies prepared by the Natolin Student Restaurant! I) Information desk will be open from 9 AM: learn about the recruitment, scholarships, careers, and enjoy the FREE hot chocolate and cookies!